Current: What is Sprint Planning? A sprint planning meeting is conducted before the start of a sprint. The purpose of this meeting is to determine the sprint plan and set a sprint goal. 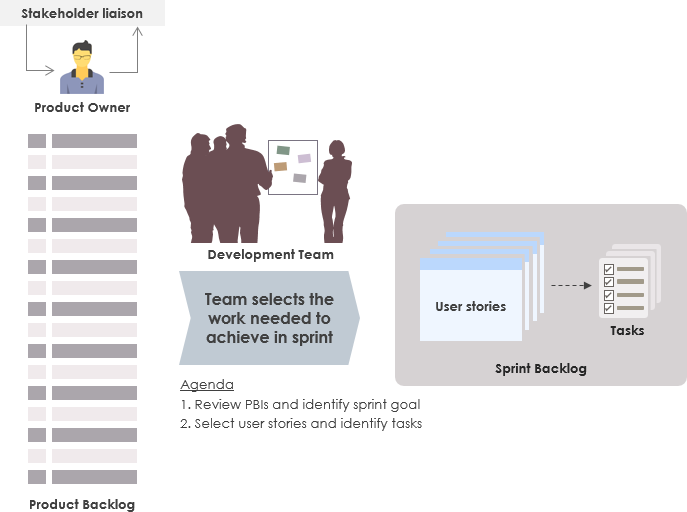 Sprint planning includes agreeing on the number of backlog items in the sprint that is the responsibility of the development team and as well as to define the goal for the current sprint and sprint backlog. During the sprint planning meeting, the product owner describes the highest priority features to the entire team. They will then discuss which stories the team will do in that sprint. The meeting should be attended by the whole team. If additional expertise on specific backlog items are required, then stakeholders can be also invited. The team may include the refinement sessions as well. Enables the Team to agree on the sprint goal and commitment. Creates the platform to communicate dependencies and identify team capacity to set and commit to an achievable sprint goal. Each sprint begins with a sprint planning meeting. Typically, for a four-week sprint this meeting should last eight hours. For a two-week sprint, plan for about four hours. As a general rule of thumb, multiply the number of weeks in your sprint by two hours to get your total sprint planning meeting length. The following table illustrates the rule. Identify the right people & schedule meeting with all logistics e.g. WebEX, Video conference etc. This meeting is split into two sessions. In the first session, the product owner reviews the list of features and defines what needs to be built during the next sprint. The next session involves identification of tasks that need to be executed, in order to complete the build. The sprint planning meeting should yield the sprint goal and the sprint backlog. During the first session the Product Owner presents the highest priorities of the Product Backlog to the team. Set the sprint goal or objective – Product Owner together with the development team think of the objective of the sprint. The team and the Product Owner collaborate to help the team determine what functionality can be delivered in the upcoming Sprint. The team commits to this Product Backlog at the end of the session – Selected Product Backlog. During the second session of the meeting, the team plans how it will meet this commitment by detailing its work as a plan in the Sprint Backlog. 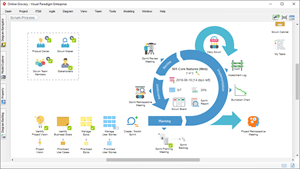 Detail planning – Breakdown stories into tasks, ensure the team has separated the stories into tasks, as this will enable the team to consider everything that should be done to finish the stories. It’s additionally great practice to make Testing as a different task. Estimating of the stories – Teams can do the measuring of the stories utilizing strategies like Planning Poker or T-Shirt Sizing and Allow team members to sign up for the work they choose and give an estimate as for how long each task will take to complete.